Join us on December 13th for our annual Holiday Party!?? We will be giving away gift cards and door prizes, as well as offering refreshments and snacks.?? 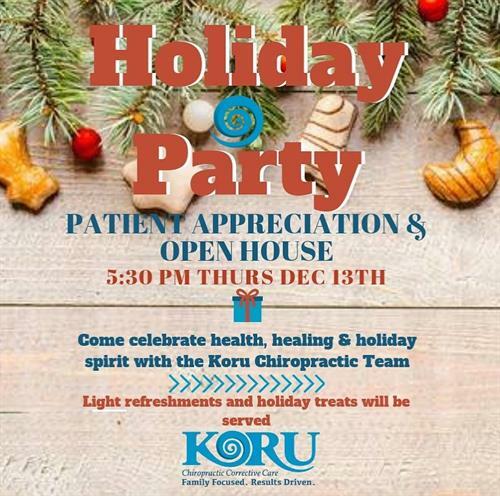 All community members are welcome to stop by and celebrate health, healing and holiday spirit with us!